After almost 2 years OLPC released the first officially signed new build for the XO-1 (and XO-1.5), os850. So if you are still running official OLPC builds (os656/os802) and never bothered with developers keys etc, here is a build that will breathe new life into your XO-1. The build is installed to the internal NAND flash device. You will need a USB memory stick of at least 1Gb capacity, but only for the duration of the installation. ALL USER DATA WILL BE ERASED FROM THE LAPTOP! Rename the file to fs.zip, <--- key step! Check the USB memory stick contains at least the two files fs.zip and os850.img. Turn off the laptop, unless it is already off. Installation progress will be displayed. Green colour will fill grey blocks. It will take about five minutes. Once finished, the laptop will reboot automatically. Remove the USB memory stick during or after the reboot. The USB memory stick can be used on other laptops. You can even upgrade to this build if you are running os767/os802. There are some caveats in upgrading but nothing unusual, and you get to keep all your data too or even go back to your old build! This is a "release candidate" build which means one or more additional ones will come before the "final", depending on YOUR testing. The build is very solid but the more people use it the more likely bugs will be identified and hopefully squashed out before the final. So please install, test and report. 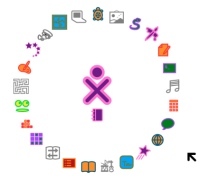 If you have any trouble, you can get help and advice on the OLPC News Forum. I got the new version, but went back to my old os656 version after I was not able to add Yum install "files" using Terminal. You can use some swap or go to even more drastic changes ( http://www.olpcnews.com/forum/index.php?topic=4867.msg32364#msg32364 ) if really big and complex packages are to be installed. With all of the dependencies needed when adding new activities, can't another activity be run that can handle the Swap, Umount the tmpfs, and stop Sugar before attempting Yum? Couldn't Yum just be added for the OLPC side and then later the Fedora side? It would need less memory. Thanks for the link about the Yum issue is not planning to be corrected. In the first upgrade for G1G1 XO-1 systems, there were lots of warnings about needing to install activities on the USB stick as well, since the system itself didn't include any, and without a browser or terminal, it would be hard to add them. I never upgraded back then, but am thinking of doing so now. Do the same caveats about having to bundle the activities on the USB stick apply to this new update, and if so, are there new directions for doing so? I saw no problems, except for the Yum install issue and maybe that the new install uses more of your free space adding Sugar/Gnome. You can go back to your old version, if you do not like it as done by me. Installed Monday on all but two G1G1 systems. Three mesh channels show up. Friends (button two) generally empty. Speak activity does not seem to provide Share with Neighborhood capability. On Settings, there is check-box which says Turn off radio to save power (Network) but when I CLEAR the check-box, it turns the radio OFF when I put the CHECK mark back, it turns the radio ON, opposite of what I would expect. Should not be any problem with collaboration. Are the XOs connected to an access point? or ad-hock sharing? Are there any XO-1.5s in the mix? No access point, just ad hoc.